The online lodging firm claims to add almost £1.5 million a day to the Scottish economy. But critics say the rapid growth in short-term letting is exacerbating a housing crisis, causing rising levels of anti-social behaviour and enabling some landlords to evade tax. As MSPs at Holyrood consider a new planning bill that could give councils more powers to regulate landlords using Airbnb, documents from the Scottish Government show the firm has had extensive contacts with senior government ministers and civil servants. The Scottish Parliament‘s lobbying register also shows that a public relations firm hired by Airbnb, Halogen, has met 28 times since March 2018 with MSPs, ministers and special advisers to discuss the company’s policy positions or the wider short-term letting sector. Andy Wightman MSP, housing spokesperson for the Scottish Greens, has tabled an amendment to the planning bill which is “designed to provide clarity and certainty to the circumstances in which planning consent needs to be sought” for property owners throughout the country. It would give councils throughout Scotland the power to require property owners to apply for “change of use” planning permission before they can rent out whole dwellings on short-term letting platforms, such as Airbnb. It would not apply to people who rent out a room, or part of a property they live in themselves. If it were to become law, councils would be able to enact their own policies to manage short-term lets. But lobbyists acting for Airbnb have written to senior ministers including Nicola Sturgeon and Derek Mackay, to argue for a delay in regulation. They also proposed that new rules should only apply to one part of central Edinburgh. The Scottish Government has set-up a short-term lets delivery group involving industry players to consider the issue. SNP MSPs on the committee considering the planning bill said they will not support Wightman’s proposals “in their current form“. One note from a meeting between Airbnb lobbyists and Scottish Government civil servants indicates that the firm has drafted alternative amendments to the planning bill, in a bid to water down proposals to regulate the sector. The firm also discussed its strategy for getting alternative amendments debated by MSPs at Holyrood. Wightman criticised Airbnb for its lobbying tactics and the Scottish Government for indulging the company. “It’s not surprising that Airbnb and other private interests oppose reform,” he said. Wightman added: “It is also very unhelpful for Airbnb to continue to mislead MSPs and the government in implying that my amendment applies to home-sharing when, in fact, it specifically exempts this activity. 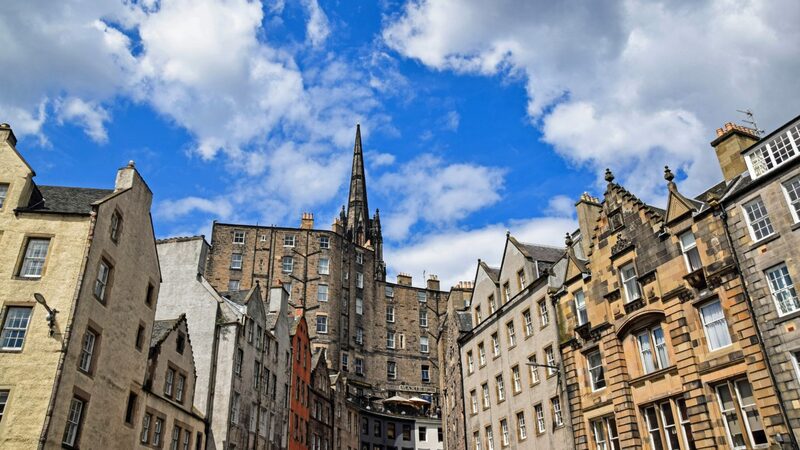 The number of people providing short-term let accommodation has grown rapidly in Scotland, but particular concerns have been raised over the number of whole dwellings available for short-term let through online platforms such as Airbnb. In Edinburgh, where Airbnb lets are concentrated, figures supplied by Airbnb on entire home listings suggest they represent less than 2.5 per cent of housing stock. An independent analysis of data scraped from the firm’s website by analyst Dan Cookson, suggests that there were more than 6,500 entire home listings available for rent in Edinburgh at November 2018. The majority of these flats were clustered around the old town. Thought I'd share my analysis of InsideAirbnb's latest data on Airbnb listings in Edinburgh (updated to Nov 18). Meanwhile, a City of Edinburgh Council report estimated that a shift toward short-term lettings of whole dwellings had cut the number of homes available for longer-term private rent in the city by 10 per cent. Airbnb has provided figures to government officials showing the growth in the number of people using the website to rent out their property and the amount of money hosts can make. Housing charity, Shelter Scotland, has argued that in places where short-term lets become concentrated, they have the potential to push up private rental prices. It says this is making it harder for local people to find affordable places to live all year round. Gordon Maloney, from campaign group Living Rent, argued that the growth of the short-term letting industry was undermining Scottish Government efforts to improve standards for tenants in the private rental sector. Holiday lets were currently “a complete free-for-all,” he said. He called on the government to comprehensively regulate short-term lets. “That means requiring planning permission and licensing, but also limiting the length of leases and the amount of time properties can be used for holiday lets,” he added. Airbnb has stressed that it favours “evidence-based” regulation, saying it has provided examples to government officials of different approaches to regulation used elsewhere. It acknowledged that the extent of short-term letting in Edinburgh required new rules, but claimed that applying the same rules to rural Scotland would harm people living in these areas. A spokesperson for the company said: “Airbnb has led talks to secure clear and modern home sharing rules that support local families since 2017. While we support clear rules, applying sweeping proposals designed for Edinburgh to all of Scotland would have a devastating impact on rural communities that rely on tourism to support their economies. A Scottish Government spokesperson said: “We have already committed to examine whether further measures are required on short-term lets, and to ensure that proportionate and appropriate regulations and enforcement are in place. This post was updated shortly after publication to include the name of the lobbying firm employed by Airbnb. Time to scotch the myth that these parasitic organisations such as Airbnb and TripAdvisor are bringing money into local economies. Think about it- how many visitors only decide to stay in an area because Ab exists. There is a plentiful supply of self-catering properties throughout Scotland easily found by long established methods without any requirement to access these organisations which rake off significant %ages of booking income, and no doubt without any tax finding its way to the treasury.